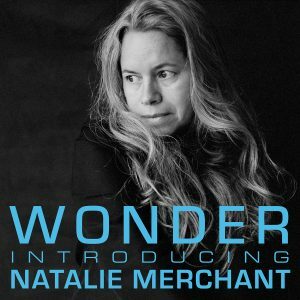 Wonder: Introducing Natalie Merchant – a new collection of tracks available exclusively on streaming services – has been assembled and is available starting today on Spotify, Apple Music, etc. The collection comes in advance of the premiere of the new film Wonder – which was inspired by Natalie’s song of the same name. Based on the 2012 worldwide best-selling young adult novel Wonder by RJ Palacio, the film is in US theaters starting on Nov 17th and stars Julia Roberts, Owen Wilson, Jacob Tremblay, and Mandy Patinkin. The new collection opens with the original studio recording of “Wonder” from Tigerlily and closes with the 20th anniversary recording of the song from Natalie’s Paradise Is There: The New Tigerlily Recordings. In between are other essential Natalie Merchant tracks from across her 20+ year solo career.